When I was younger, I used to spend all of my free time on creative projects: writing, painting, singing, playing musical instruments, and making pottery and jewelry. I even submitted some of my poems into local contests and won. I loved finding the quiet moments where creative energy flowed through me, and I could produce something I was really proud of. My family didn’t have a lot of money, but when I was in a creative space in my head and heart, money didn’t matter – I always felt so content and free. But something happened as I got older – I started living my life in a way that I thought society expected me to, simultaneously losing my creative fire, and eventually I found myself in a dark hole of anxiety and depression. I took on a stressful job, the bills kept coming in, and I wondered if that was all life would bring me now: a series of revolving door transactions of making and spending money. I found yoga practice during this time of my life, and it kept me floating above the dark waters in my mind. Every time I came to my mat full of anxiety and doubt, I would leave feeling a sense of momentary physical calm and internal peace. Yoga not only became the balance I needed to cope with the stresses of life, but also the path to self-discovery that I chose to walk. 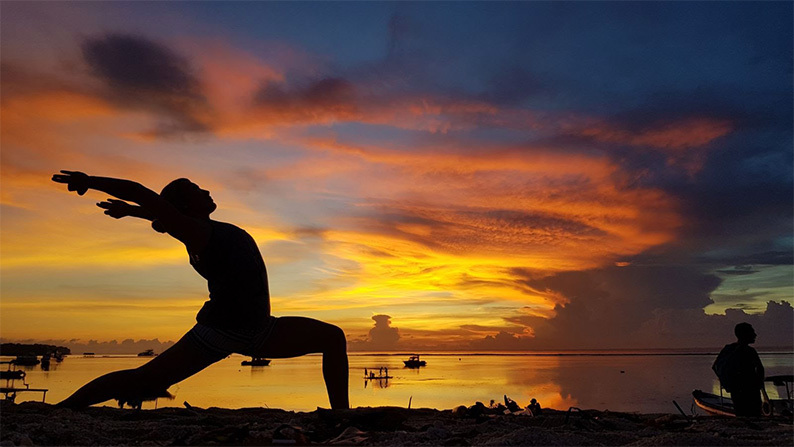 After eight years, my yoga practice deepened and became part of me, but I felt frustrated that I would still experience anxiety and depression, and I hadn’t found a way to make the peace and contentment permeate every moment of my life. 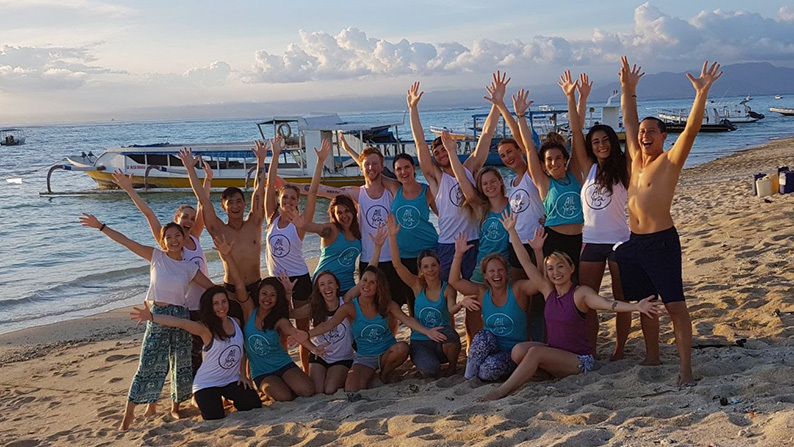 As a result, I finally gathered enough courage to join a yoga teacher training, so that I could not only continue to deepen my own practice, but also safely share with others the passion of yoga that I have cultivated over these years of quiet desperation; and All Yoga seemed to call out to me the loudest. 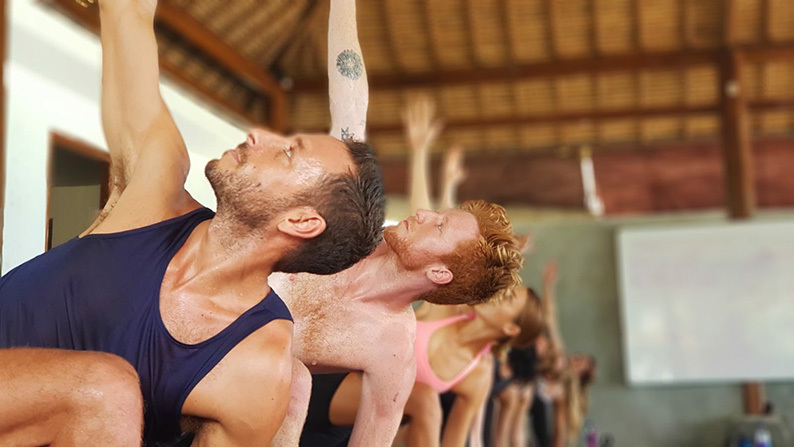 I am an avid Ashtanga Vinyasa yoga practitioner and even traveled to Mysore to practice at the K. Pattabhi Jois Ashtanga Yoga Institute, so All Yoga’s course content resonated with me the most. I knew that I would feel a stronger connection to the physical practice during my training, but I actually developed a stronger connection to myself. Each day, I felt the darker feelings ebb away and were slowly replaced by light and love. I started to feel like I did when I was a kid, full of wonder and excitement about the world again. And one day, after many hours of meditation, breathing, and asana practice, my mind became so still and calm that the creative energy began to flow again, and I produced a poem for the first time in 15 years. The poem is about my experience at the All Yoga Teacher Training (YTT) program, and I would like to share it with you now. If you would like to have an insight as to what a YTT is like, I have tried to express it in this poem – and for those who have completed a YTT already, maybe you can relate to what I’ve written. I just found that for me, I am entirely in bliss when my mind is quiet enough to allow this beautiful, creative energy inside of me to flow through into a form of art that I can share with the world. And I found that peace in yoga. But my darkening mind was making it harder to maintain. And I came to the course without any expectations. But breaking down walls is the only way to grow. And the teachers push you harder even when you think you are done. learning, practice, eat, sleep, and repeat. I’m not going to lie, some days I felt defeat. This is not a retreat; every day is bittersweet. And sometimes I could feel them even synchronise. I could finally experience true mind-body connection. These insecurities, doubts, worries and fears. There’s nothing to gain when it remains. And I still have so much more of this life to live. It’s time I make this long-awaited shift. I need to be selfless and share my beautiful gift. This whole experience made me feel renewed.